Only 30 min from Phoenix airport. Almost 3000 square feet of custom, luxury home that has been remodeled and re-imagined for today's family. This is the best house of its class! You will love the premium lot and private location of this home and all of its features and amenities including: impressivegreat curb appeal, gourmet kitchen with GORGEOUS BLACK GRANITE and 42'' MAPLE CABINETS, crown molding and brass hardware, beautiful tile floors, stunning views from the tower, VERY SPACIOUS MASTER with huge walk-in closet. BACKYARD PARADISE. All New - Resort like backyard with sparkling pool with water feature and variable drive pump, expanded patio. 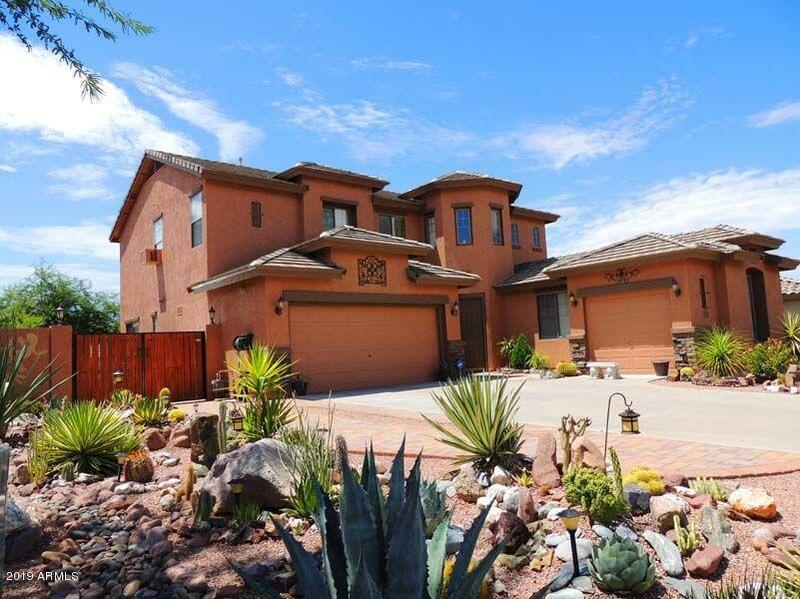 STUNNING DESERT AND MOUNTAIN VIEWS, within a few minutes to lakes and rivers. Full size RV gate for ATV, boat, or other toys!